It’s that time of year – birds singing, flowers blooming, snow melting (hopefully), and sun shining! The time of year we dust out our homes and open up the windows for some fresh, non-freezing air. I love this time of year. Spring is easily my favorite season (autumn is a close second). You may call me odd for this next tidbit I’m going to tell you, but here goes – I love spring cleaning. I truly do. In fact I have some very fond memories of spring cleaning as a kid. My mom always made it fun. I hope I can do the same with my kids. Well first of all, after being cooped up in the house all winter, spring cleaning allows you to bring the sunshine and joy back inside. Spring cleaning gives you the opportunity to deep clean on a level you normally wouldn’t, which really can be rewarding at the end. If you’re a normal family, you’ve probably been dealing with a lot of sicknesses that seem to accompany winter – colds and flu specifically. With the end of winter, you don’t want to carry those germs into the rest of the year, so spring cleaning helps get them out! For me, and maybe some others, the satisfaction of a good deep down cleaning, is enough of a mental boost to have something so seemingly daunting be accomplished. As mothers it seems most of our chores are never truly done. 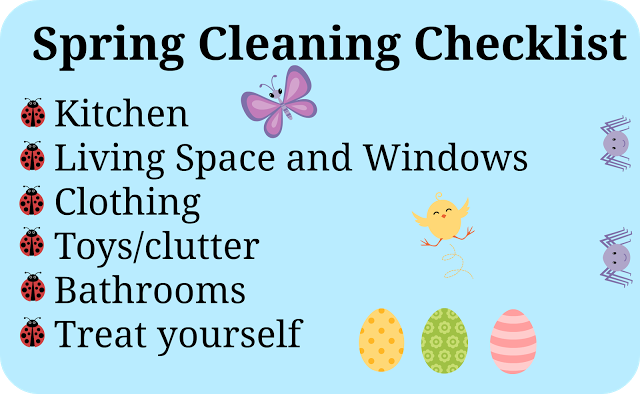 Spring cleaning can be! (perhaps this is why I enjoy shoveling snow). I put together a fun little printable Checklist for you. Print it off, hang it up, and get to work! Each ladybug represent a new day of cleaning. I do not suggest trying to spring clean all in one day – there’s just too much to do it efficiently. The idea of spring cleaning, is to get down in the places you don’t normally clean (think – behind the refrigerator), to de-clutter and get rid of un-needed items, and to deep clean areas that usually only receive a surface cleaning. Every day this week I’ll share a list specific to that day’s cleaning. Before we jump into it though – pick a reward. Right now, decide, what are you working towards? Or perhaps, what are your kids going to work for? That’s how my mom always did it at least. We got to pick a special treat, if we really worked hard with her all week long. It was a great motivator. Will you be joining us for Spring Cleaning? A big thanks to our sponsor, Affresh. They are offering one lucky reader the entire line of Affresh Cleaners. 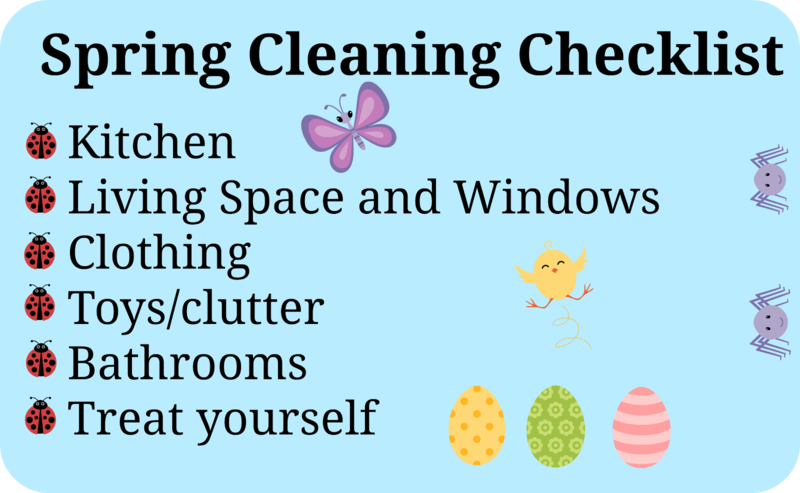 Come back each day for a new Spring Cleaning checklist, and gain more entries into the giveaway! *Giveaway open to US and Canada residents only. Enter using the Rafflecopter form. All entries will be verified. Winner must respond to email within 48 hours or forfeit prize. Just used some affresh in my HE washing machine yesterday. Love that stuff. I am so excited to try this!